It’s an amusing thing to consider Michael Halpern a political designer. As London’s reigning king of disco flights of fancy, with shimmering sequins, bursts of colour, and flared silhouettes, he evokes feelings of nostalgia. To think of him as political seems almost out of touch. 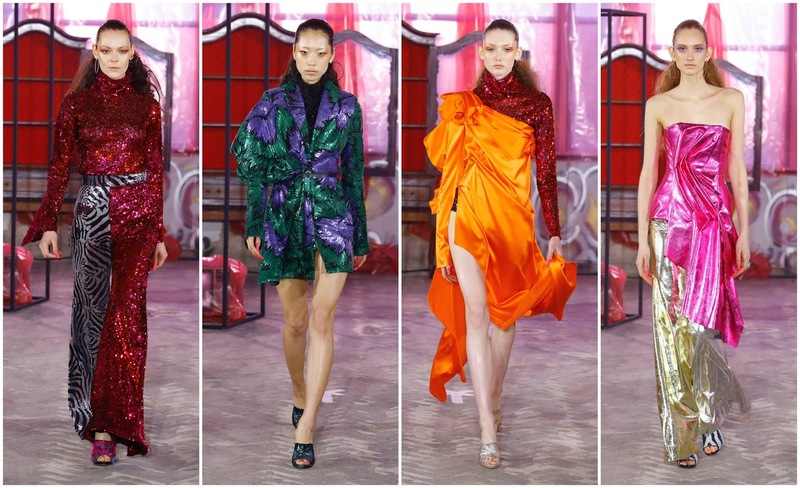 But with his fall 2018 collection, presented at a disused warehouse space in Soho during London Fashion Week, Halpern had a political agenda. 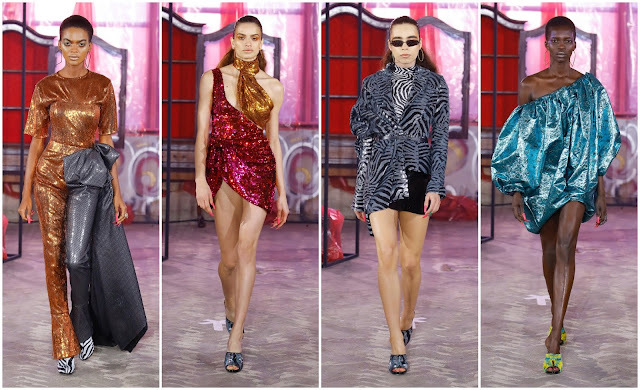 His solar system of handmade sequins are about escapism and empowerment, the two concepts which form the basis of a lot of collections that don’t grab the political landscape by the horns these days. These were dazzling disco-ready jumpsuits and abbreviated dresses for the powerful women who don’t stand for President Trump’s principles, the kind of women who oppose his travel ban and the recent crisis at the US-Mexico border, where families were separated. In this collection, he championed the 1970s resurgence, yet again, this time spotlighting socialite Nan Kempner (“What would Nan do?” he posed in his SHOWstudio interview) and actress Anjelica Huston. Ever the magpie, his sparkling disco doyennes are never quite perfect. Not that they’re not fabulous—they undoubtedly are. But he’s interested in grotesque fabulosity and posing uncomfortable juxtapositions with colour. Dull charcoal and beautiful bronze; lurid acid shades and lustrous silver; he paired zebra print with an eye-popping tangerine. The exuberance of a Halpern collection is political in itself, in times of excess and overconsumption. The sheer extravagance of it all can either point to those women with enough chutzpah to convincingly wear the clothes—that’s a form of power in itself, and how perfect is that for the current times—or to an overindulgent lifestyle. It's understandable how it can allude to a political indifference, guzzling champagne, and partying into the night instead of engaging with politics. Whatever your outlook, it would appear unadulterated glamour is the objective.